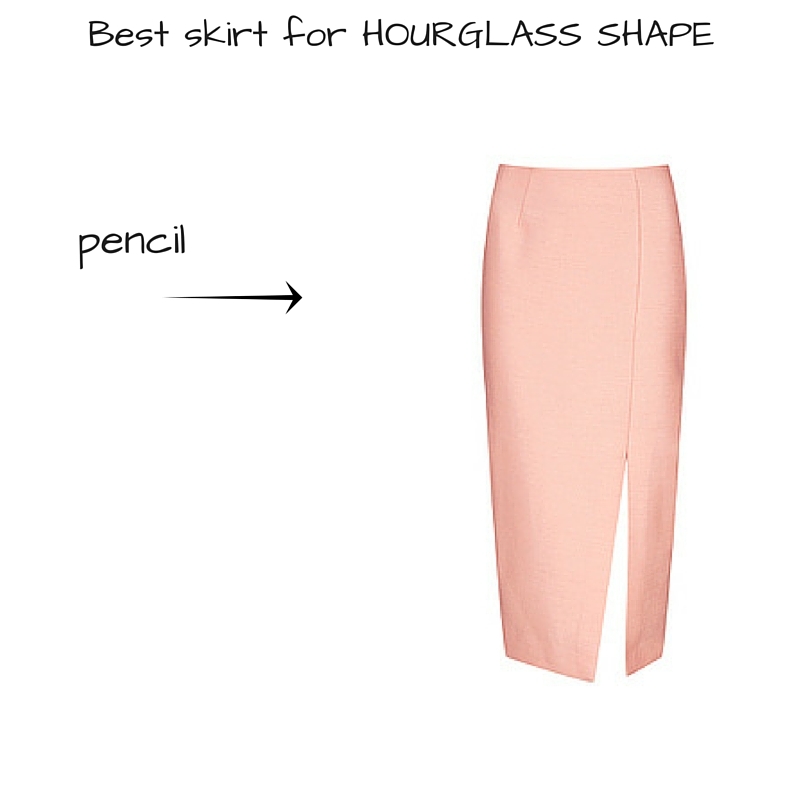 Your personal stylist in Milan shows you how to choose the most flattering skirt for your body shape. 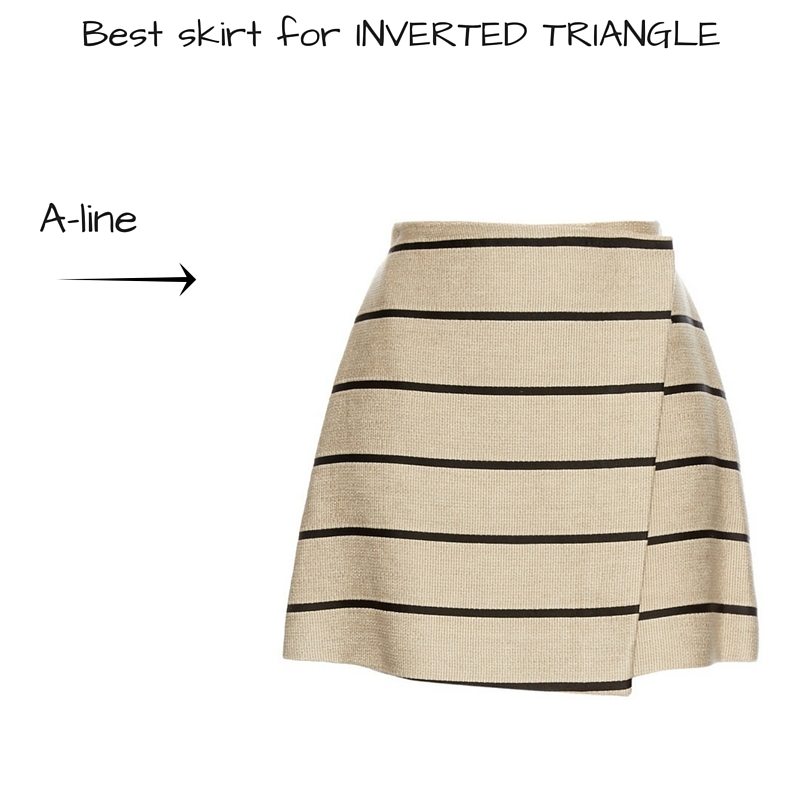 The summer is finally approaching so you definitely need to find some extra skirts for the warm days. 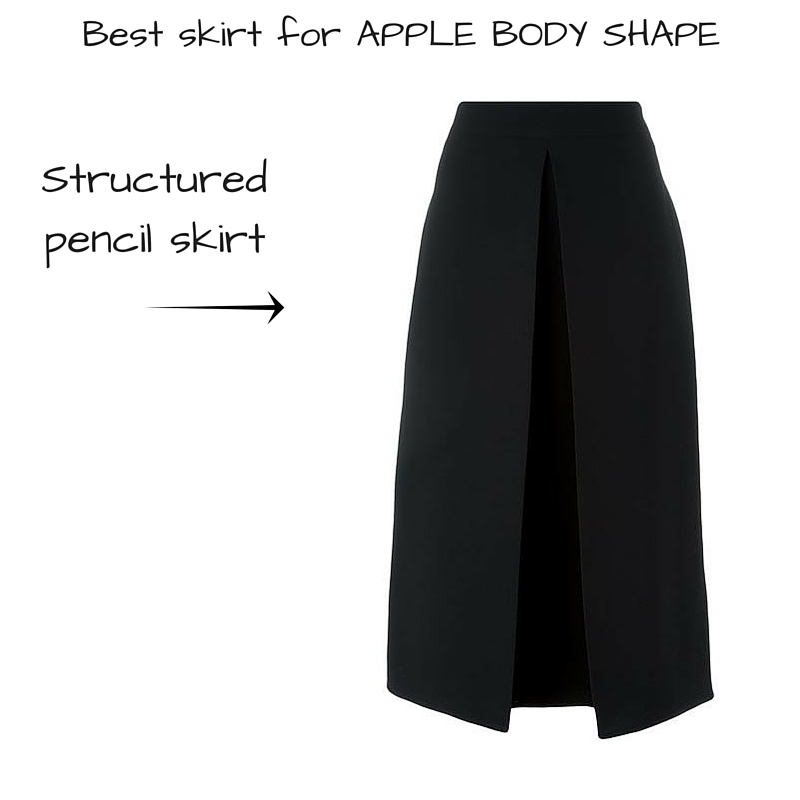 Before going to the first shop, take some time to read Dress for your body type and the tips bellow. You will know exactly what to look for and spare some time for a relaxing massage instead. 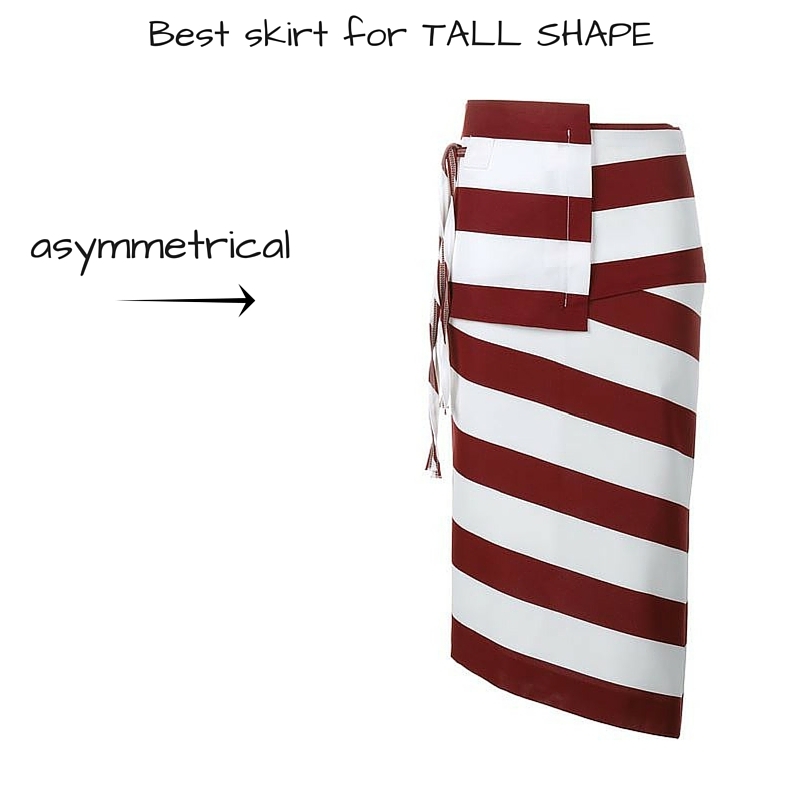 Traits: The waist, hip and shoulder widths are similar and are usually on the slim side. Slender rectangles have an athletic look about them. Fashion goals: Create curves and show off slender legs and arms. 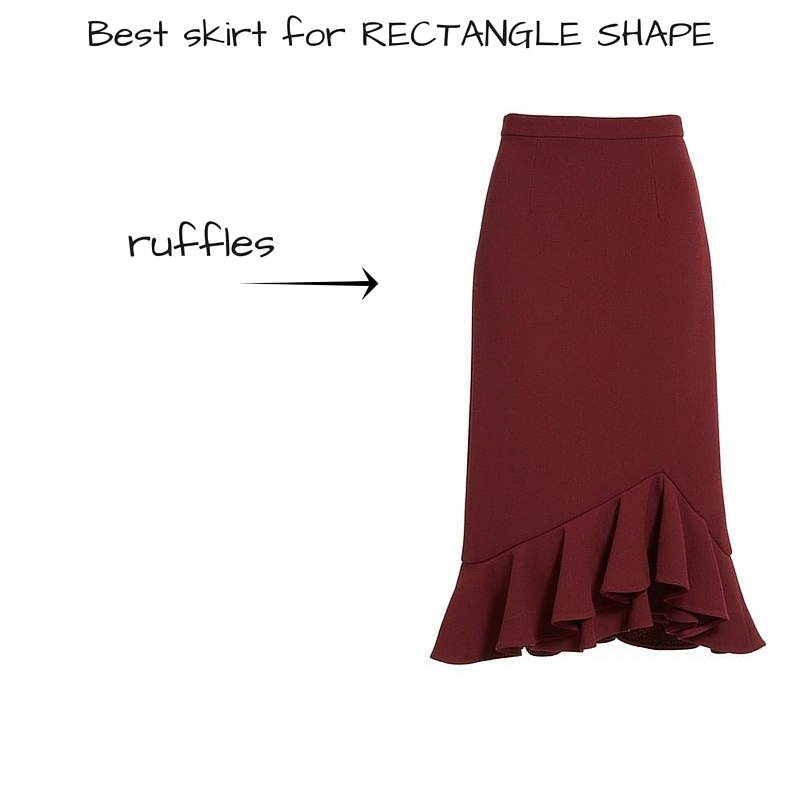 Look for : ruffles to add texture and feminine flair to your rectangle figure. 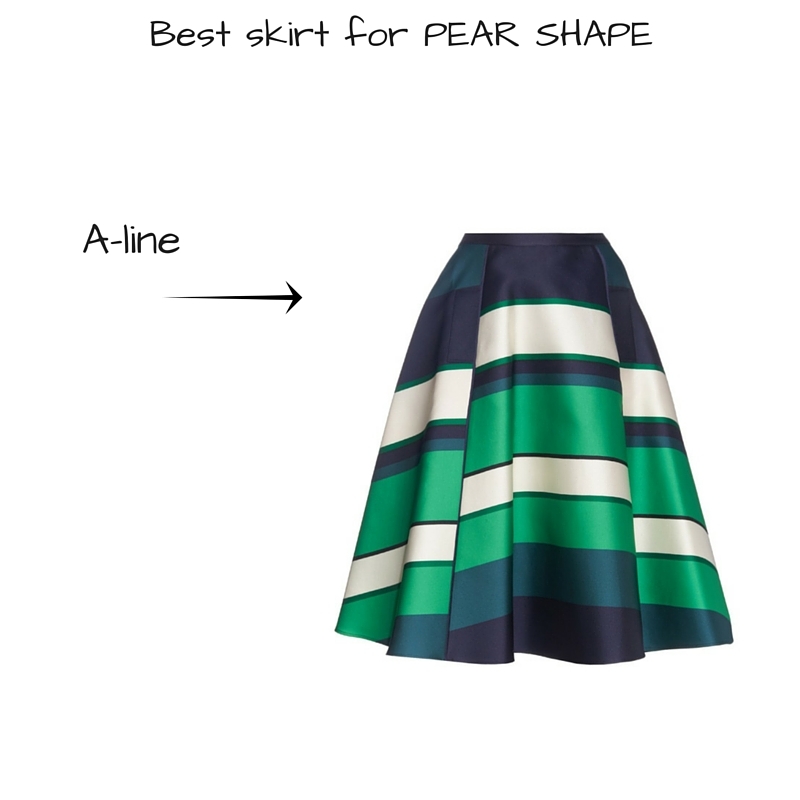 Fashion goals: Show off your curves. Traits: your lower body is wider than your upper body — your hips are wider than your shoulders. Your bottom is rounded and your waist is well-defined. Best assets: Shoulders, torso and flat stomach. Fashion goals: Emphasize your waist and arms, add volume to your shoulders and upper body in order to minimize your hips. Fashion goals: Accentuate your lower body while softening your shoulders and upper body. Best asset: Oh absolutely the legs! Fashion goals: Elongate the torso, show off your legs and use fashion to create the illusion of a waist. 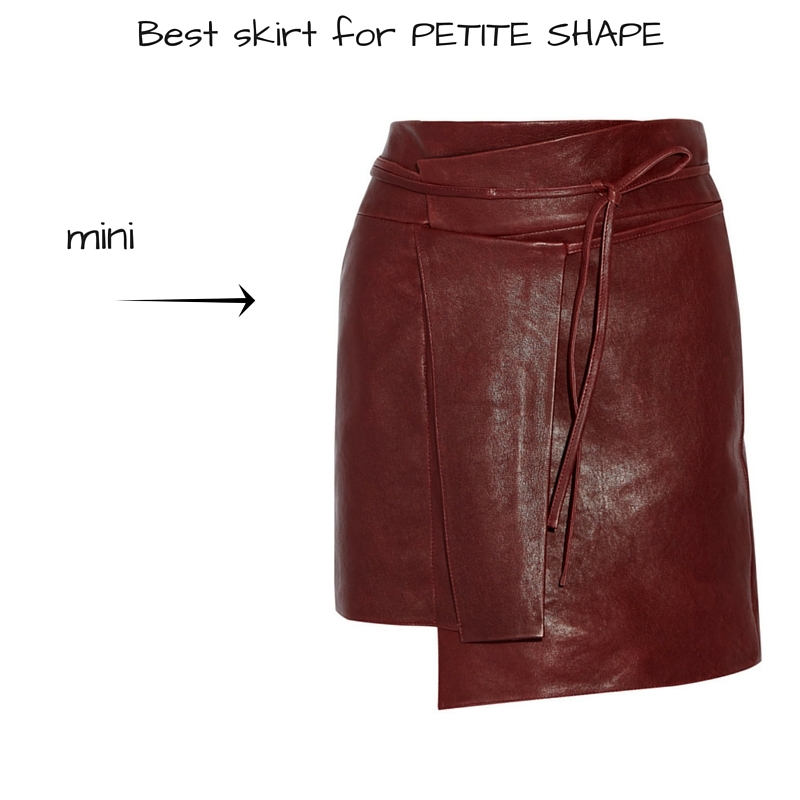 Are you a PETITE LADY? Are you a TALL lady?